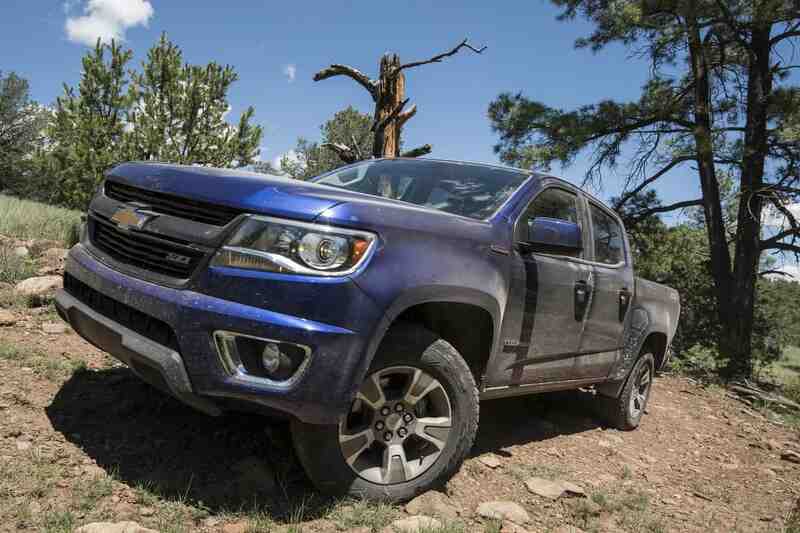 It’s no secret that General Motors made some serious waves with the introduction of their new Colorado and Canyon lines. With only minimal signs of life from their four-wheel drive department since the death of Hummer, I’d say it surprised more than a few of us when they not only set their sights on the Frontier and Tacoma, but then trumped them with the only thing their competitors didn’t offer, a diesel. Car magazines of every nature clamored to get their hands on a test truck, but with each review touting the truck’s off-road prowess came a series of pictures on graded dirt roads, pull offs next to the highway, and even a few shots on a grass covered shoulder. Really? 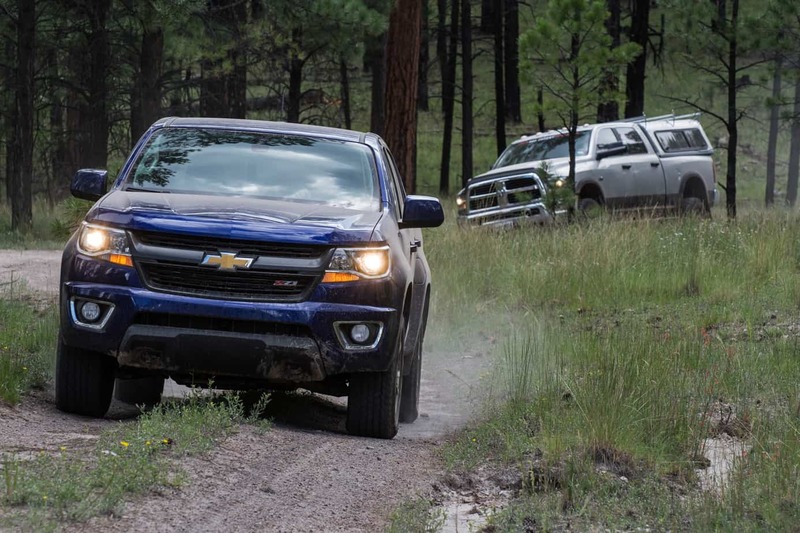 Clearly GM wasn’t letting these vehicles wander far, so we thought we’d shake things up a bit with a test proposal so ridiculous that they just might say yes. Instead of piloting this pristine loaner down some well known local trails, we would throw it head long into a real North American overland situation. 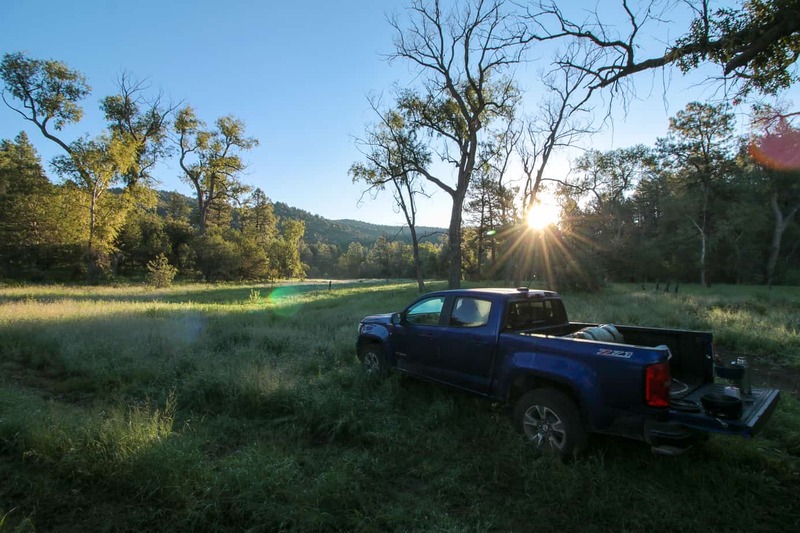 From the pickup location in Los Angeles our team would drive the Colorado over 900 miles to the back-country of New Mexico. 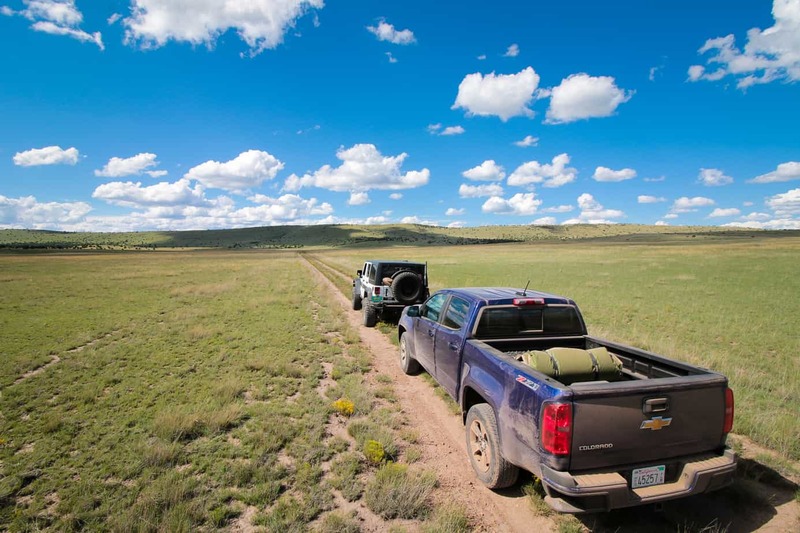 There we would join photographer and overland guide Jake Quinones of New Mexico Back Roads for five days and 340 miles of rocks, mud, ruts, and water crossings while loaded down with a weeks worth of food, water, and camping gear. 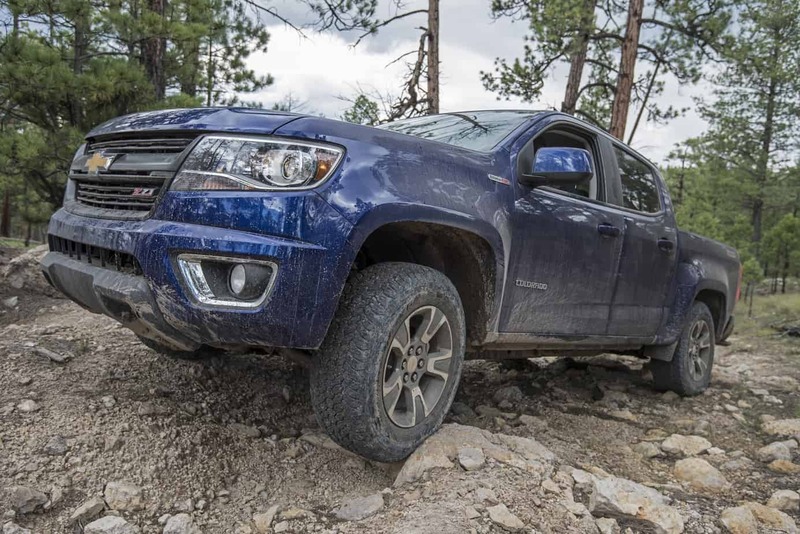 This journey challenges even modified four-wheel drives, and completing it in a stock Colorado would not only prove that it could be an overland vehicle, but that it IS ONE straight from the factory. Once we had finished the trip, hopefully in one piece, we would return to California for a grand total of over 2200 miles on the road. 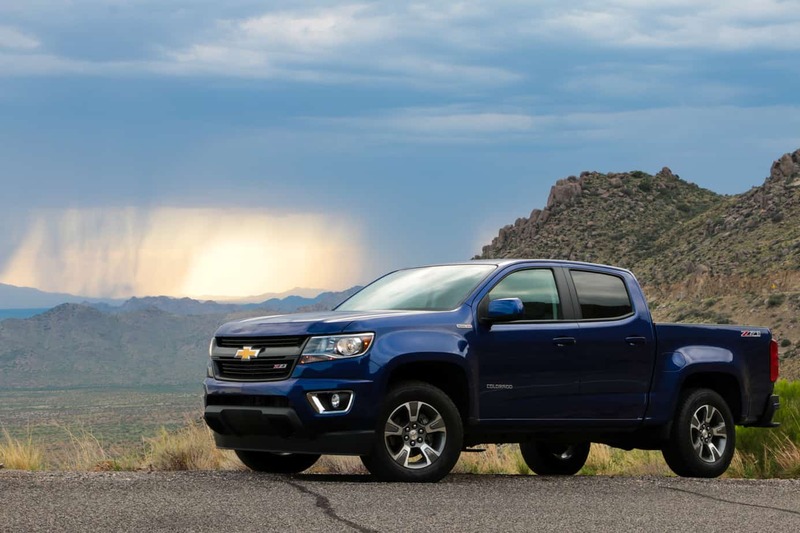 To our great satisfaction General Motors stepped up to meet our challenge, and it wasn’t long before we were picking up the keys to a short bed, double cab Z71. With over 900 miles between LA and our destination, I had plenty of time to get to know the truck that would become my home for the next two weeks. 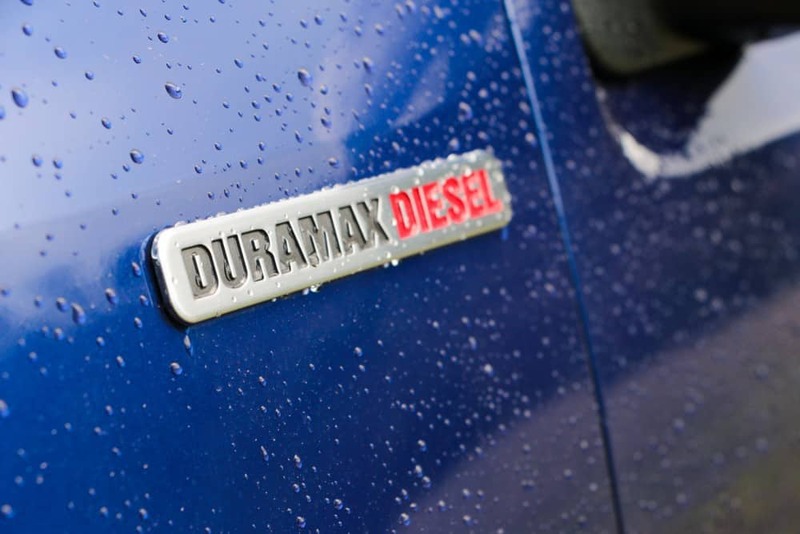 At its heart is GM’s 2.8 liter Duramax diesel, an existing product re-tuned to meet EPA requirements here in the U.S. With a peak of 181 horsepower the little inline four isn’t exactly a fire breather, but we found it could still cruise down the highway at 75 mph without feeling stretched. 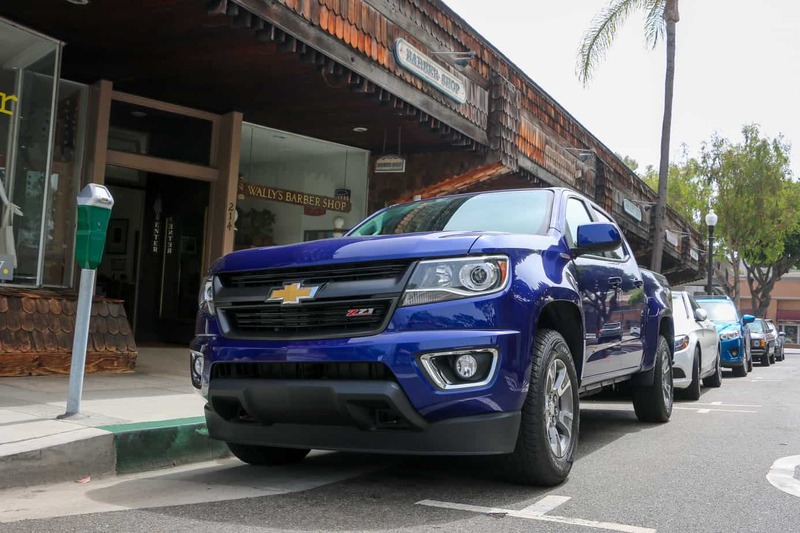 369 lb-ft of torque gave our Z71 an impressive towing capacity of 7,600 lbs, and thanks to all around disc brakes and an optional exhaust brake it can slow that weight down with ease. 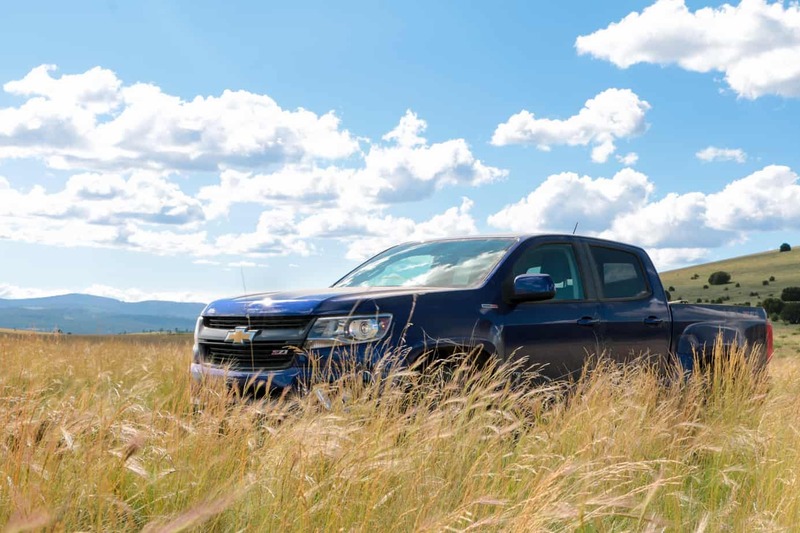 Although the exhaust brake was too effective to use without a trailer on most hills, the transmission’s automatic downshifts were the best of any vehicle I’ve yet driven, and I found them to be a fitting substitute. 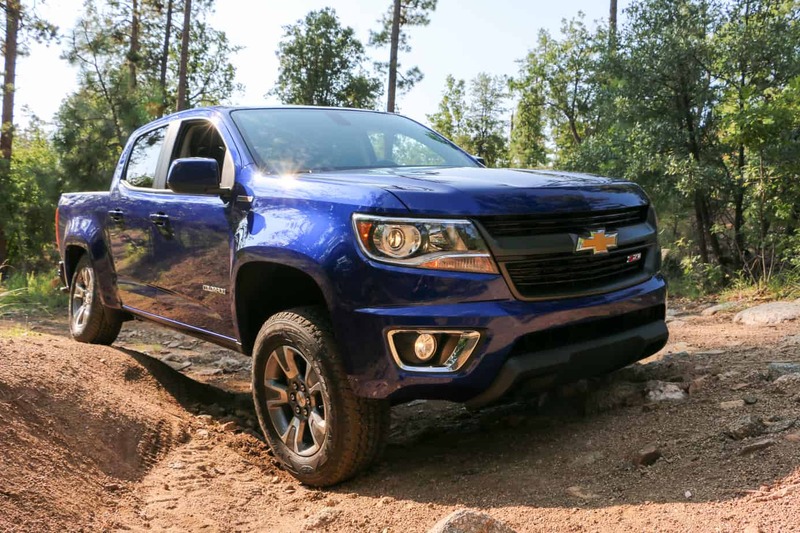 Base curb weight comes in at 4,691 lbs with the diesel, an increase of 301 lbs over the standard 3.6L petrol motor which drops the payload from 1,580 lbs to 1,477 lbs. 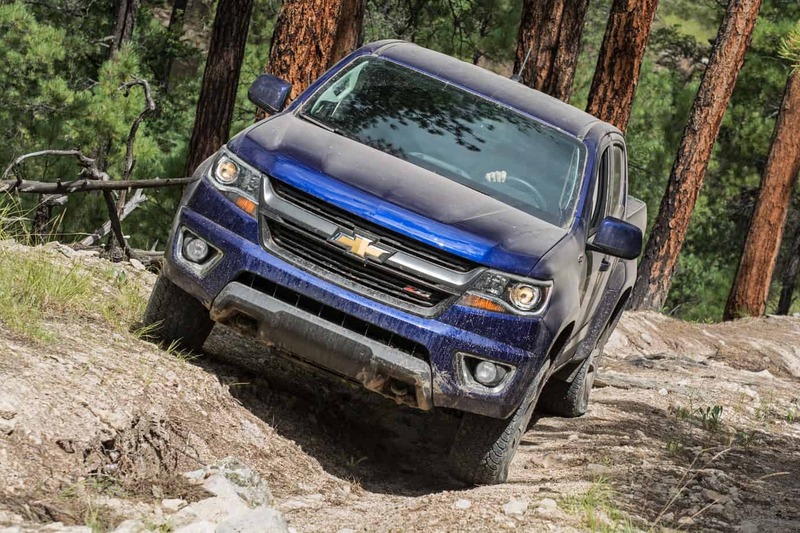 Don’t let that fool you though, as it is still 25.7% higher than the 1,175 lb limit of a Tacoma, and 40.8% higher than the 1,048 lb limit of the frontier in similar specs. Thankfully with all that capacity they also included plenty of ways to secure your cargo. 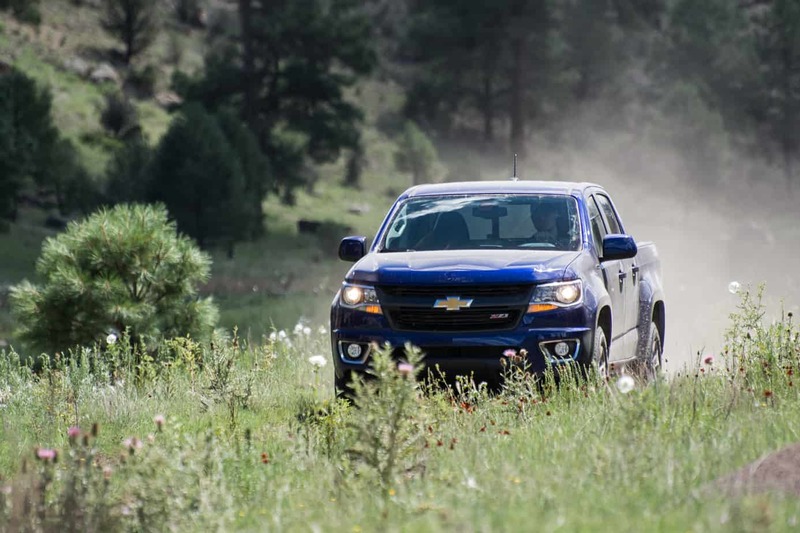 Our Z71 came with an extremely useful movable tie-down system from Chevrolet’s GearOn collection. You can see more on how it works here, but it allowed me to easily select from 13 movable points and four permanent ones to strap down my Hardigg case, MaxTrax, and Front Runner water can. 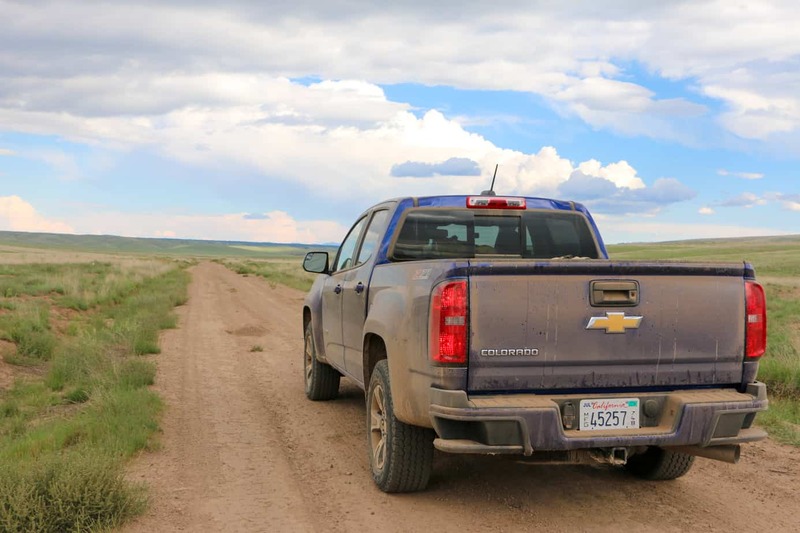 Whether we like it or not, most people spend the majority of their time on pavement, so I was pleased to find that the Colorado rode more like a luxury SUV than a diesel truck on the highway. Long stretches of desert tarmac seemed to melt away in the quiet cab, and the suspension felt as smooth as any car I’ve owned. 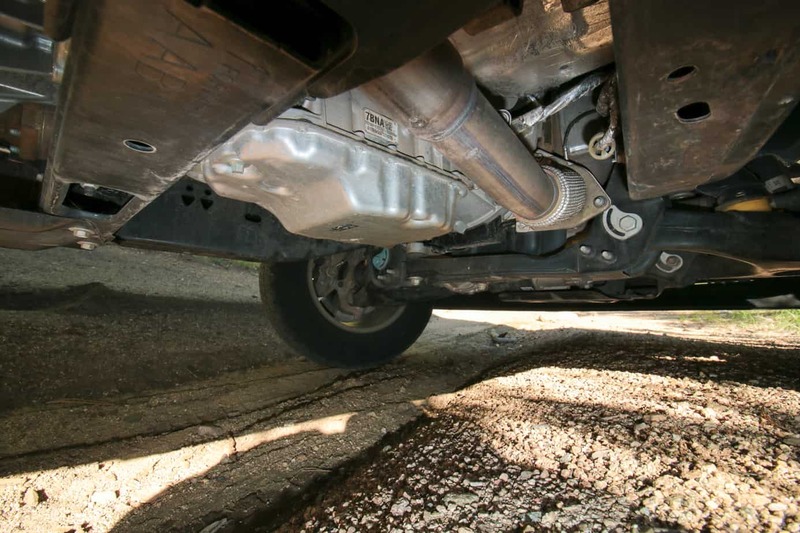 Fuel economy is reported to be around 20 MPG in the city and 29 on the highway, but we received figures in the low thirties with the cruise control set at 65. 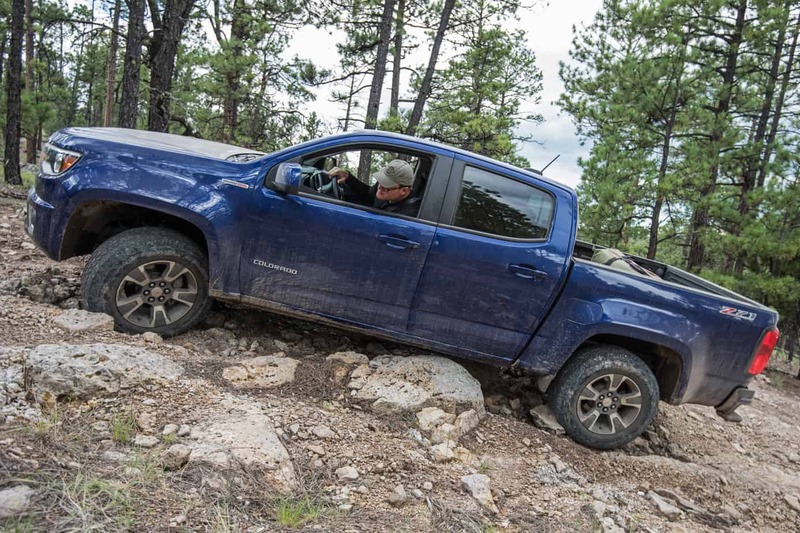 Handling on switchbacks and mountain grades was excellent, and I couldn’t help but crack a smile while the Duramax powered through turns and tore around bends. 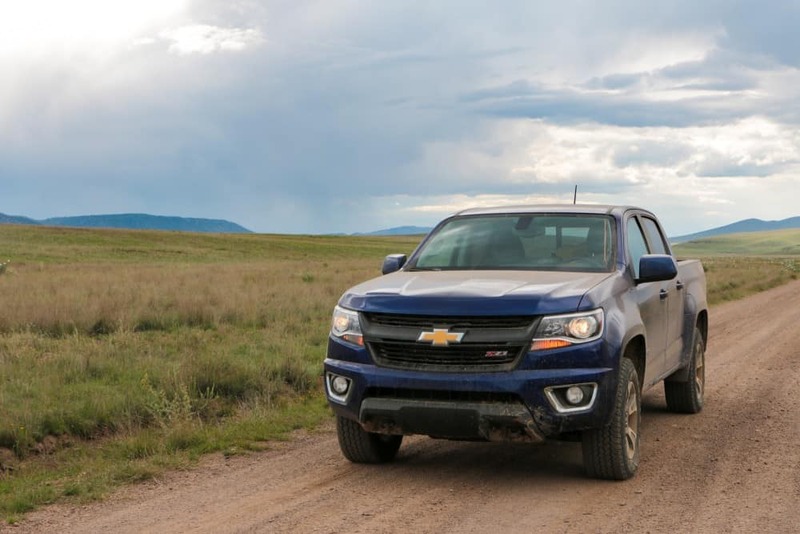 The best test of its road performance though was a stretch of pavement in New Mexico that had fallen into disrepair. 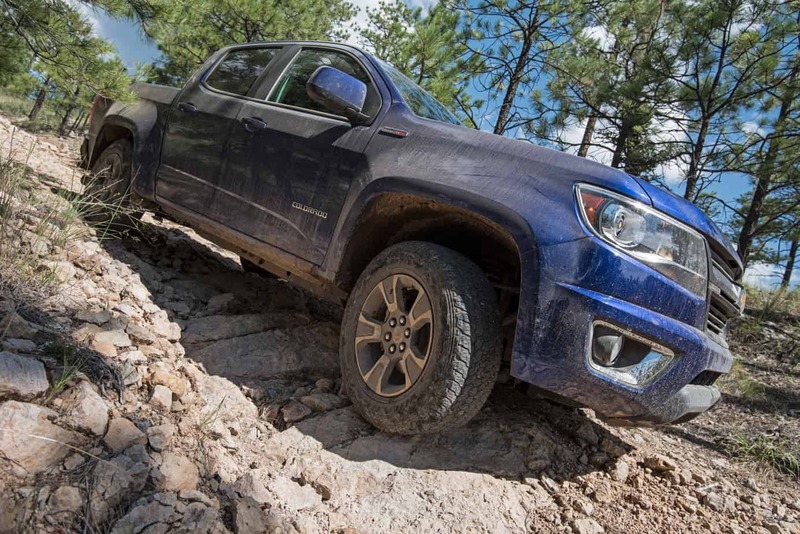 While the JK’s and Power Wagon in our group maneuvered around potholes the size of my head, the Colorado’s lower stance and tight steering turned the street into a slalom course on which to be challenged. With each turn and swerve I was rewarded with a crisp and immediate response from the wheels, and even during abrupt changes of direction the handling remained predictable and controllable. 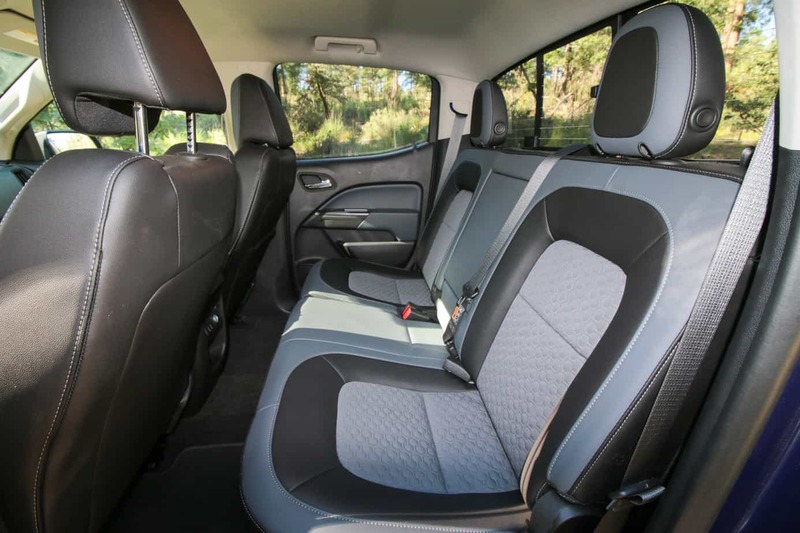 Inside you’ll find an interior that is light years ahead of the first gen Colorado. 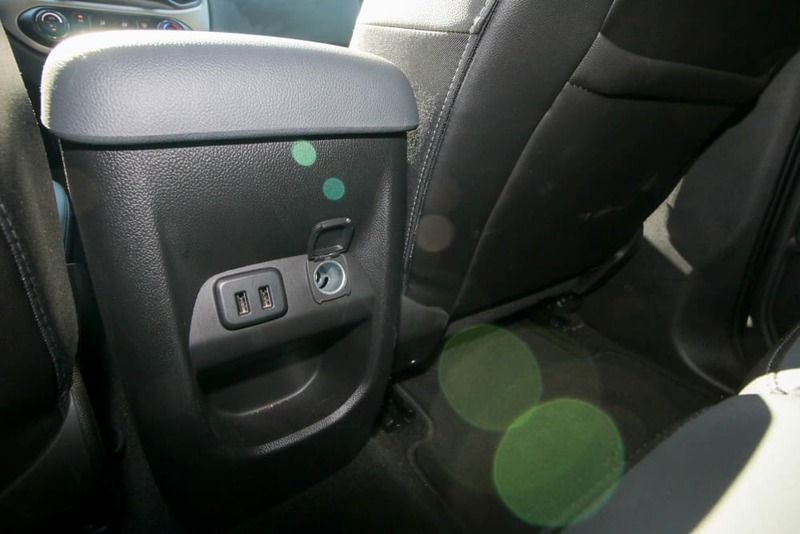 Instead of cheap grey plastics and 90’s pattern cloth, GM used soft touch accents, heated and bolstered seats, a sporty leather steering wheel, and a series of buttons and switches that felt robust and sturdy as you pressed them. When closing the doors a solid thud and click was heard instead of a tinny rattle, and after hundreds of miles of washboards we didn’t hear any sign of things loosening up. 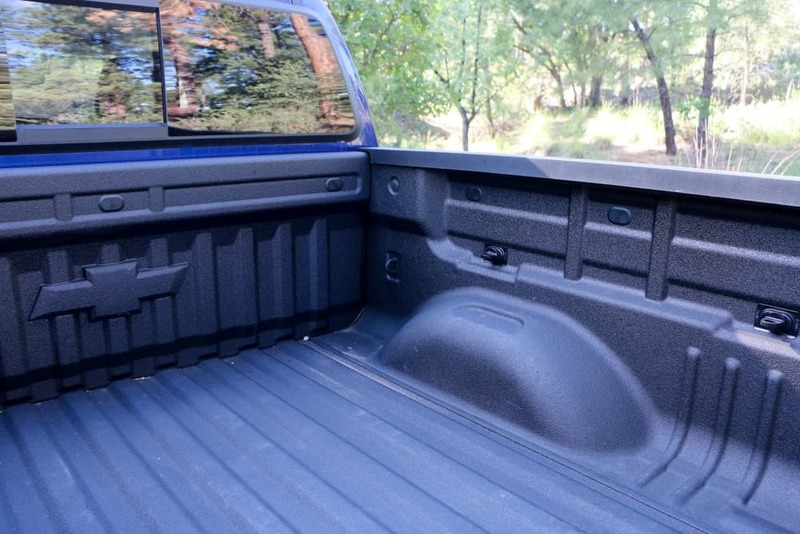 The rear seats had about as much room as you would expect in a midsize truck, and the fold down tops provided a perfect place to strap down coolers and bags while on the trail. None of this impressed me as much as how comfortable and supportive the front seats were though. 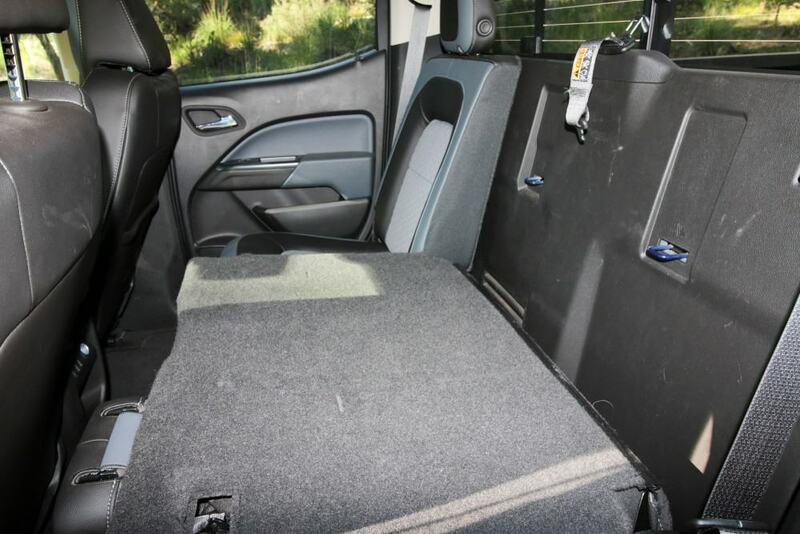 Even at 6’4″ I felt like there was more room than I needed, and after a week of driving my bad back hadn’t even begun to act up. In fact it was so spacious that I was actually able to get a full nights rest in the passenger seat, though I admit I only chose to sleep there after a bear started sniffing me in my tent. Out of all the gizmos and gadgets I have to say the 8″ touch display with Apple Car Play was my favorite. Without an apple device it includes several great programs like Pandora Radio, Weather, Navigation, and even a text by voice program, but it really comes alive when paired to an iPhone. 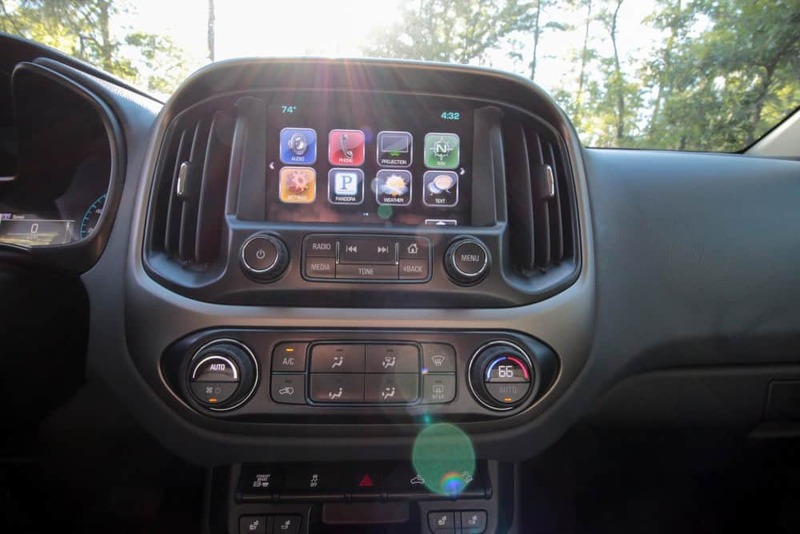 Once your phone is plugged in the software mirrors your apple device allowing you to run approved applications like Audible, Spotify, and IHeartRadio, but more importantly Siri and Maps. 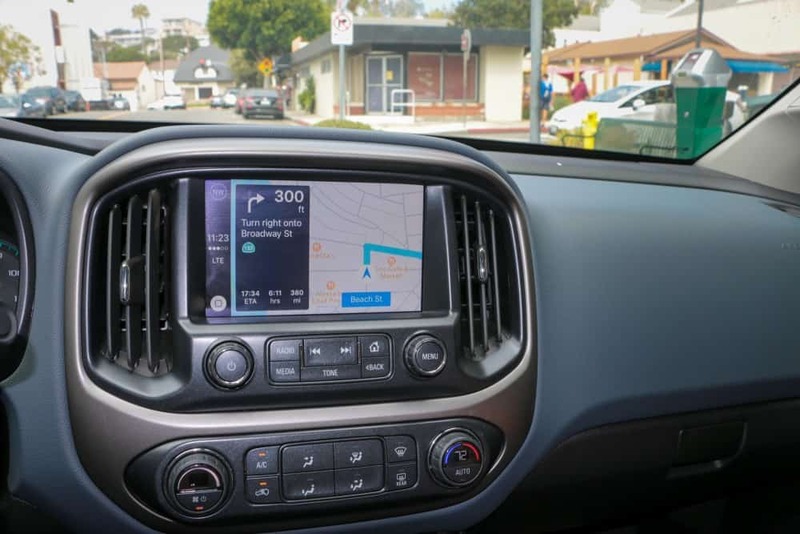 Most of us have come to rely on our phones for everything anyway, and integrating these features into your vehicle makes it easier than ever to get directions, call a friend, change your calendar, or even set reminders without ever taking your hands off the wheel or your eyes off the road. My only complaint on the interior was that I felt the carbon-fiber-esque trim used on the shift column and door panels cheapened the vehicle. 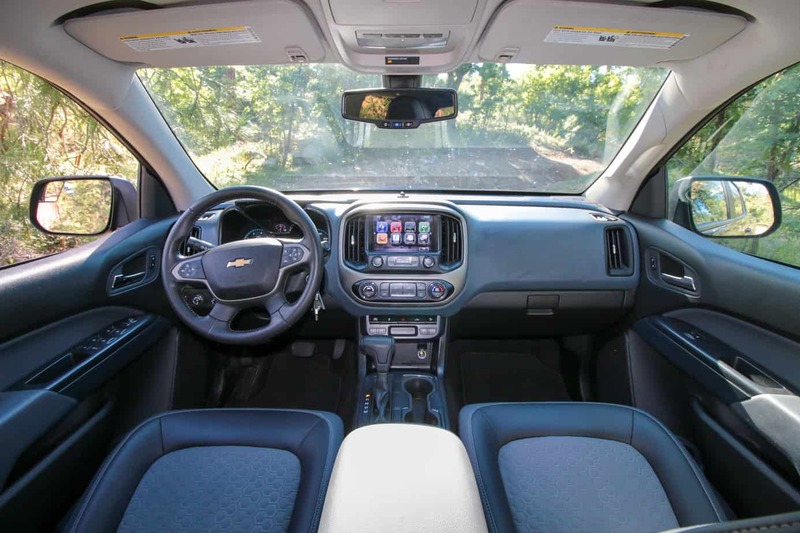 The majority of the interior has class and style, but these rubbery accents felt a little bit like a teenager bought a trim package from AutoZone and slapped it on their civic. 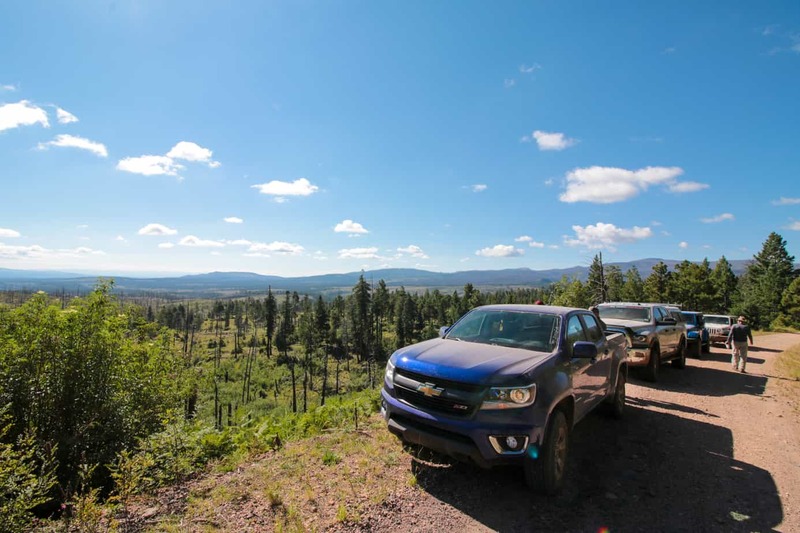 By the time our group hit the dirt I was itching to see what the Colorado could do. I felt confident that it would complete the trip with ease, but from the looks of the JK owners surrounding me I could tell I was the only one. 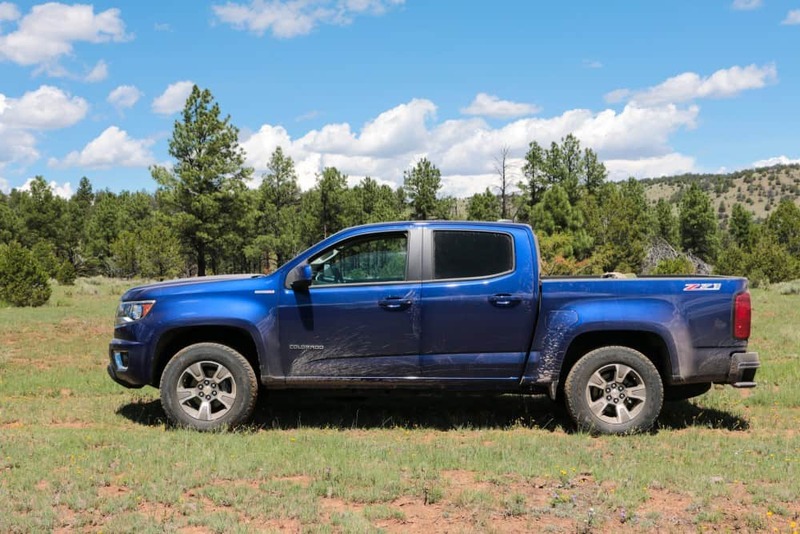 We started things out slow in a sandy canyon, which gave me the perfect opportunity to test the truck’s Auto setting on the four-wheel drive system. 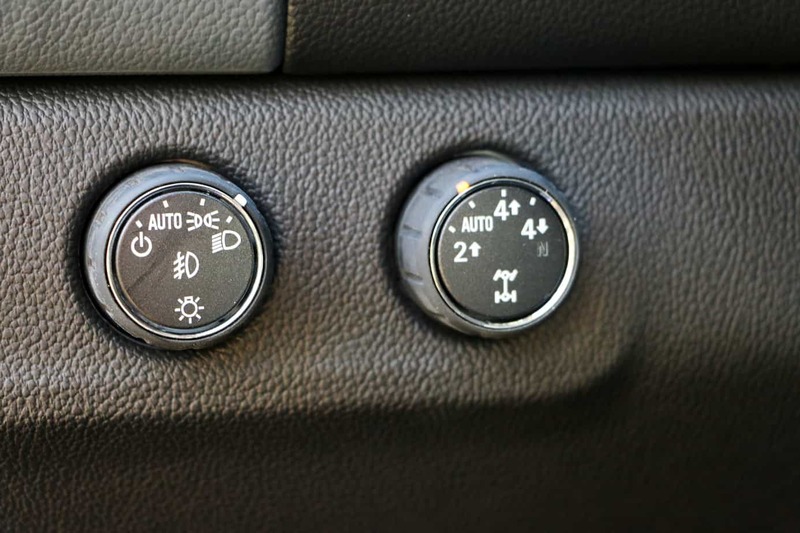 While I will still always prefer manual controls, I have to say that it switched between two and four high fairly well, and I can see the appeal for driving on snowy roadways or helping inexperienced drivers on the dirt. Once the sand had given way to curving graded roads I was able to open the truck up a little and see just how well it handled the gravel. 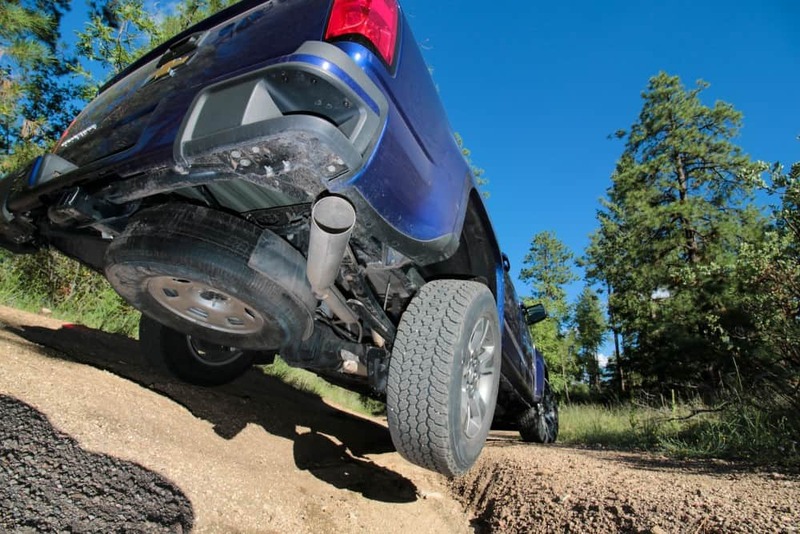 On long wash boards the off-road tuned coil-overs and rear leaf springs easily soaked up the vibrations and produced little audible resonance or physical feedback. When crossing through dips and over bumps the compression cycle was smooth, and I was continually impressed by how stable the vehicle was even while traversing uneven whoops. Corners are where this truck will get you into trouble though. 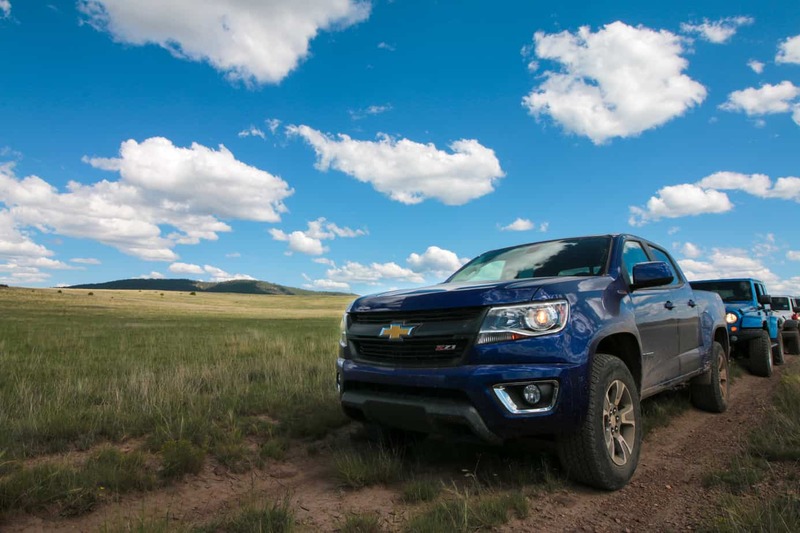 With the motor’s torque and rear wheel drive the Colorado is constantly prodding you to give it just a little more power to break those back wheels free. It’s no rally car, but it sure wants to be. 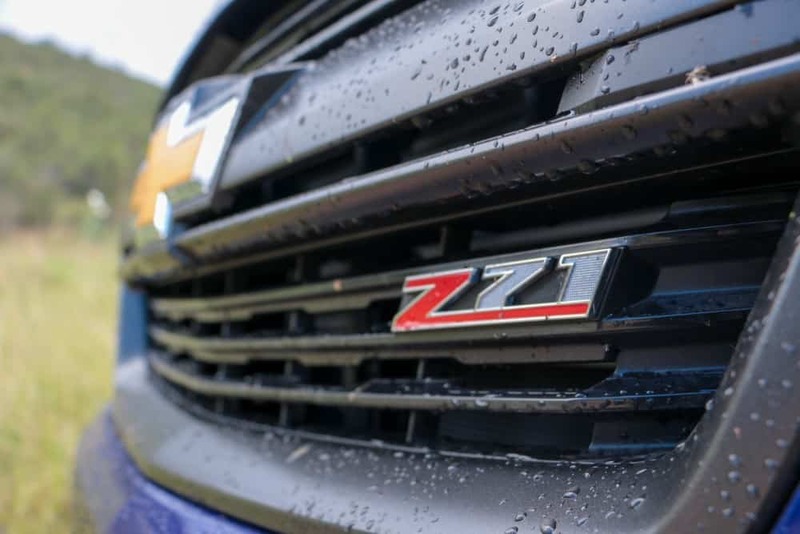 By the end of day one I was so comfortable with the Z71’s consistent performance on forest roads and two tracks that I might as well have been on pavement. My mornings would consist of casually enjoying the view from my heated seat, while sipping a cup of coffee without a lid, and listening to the news on satellite radio. It was bliss. 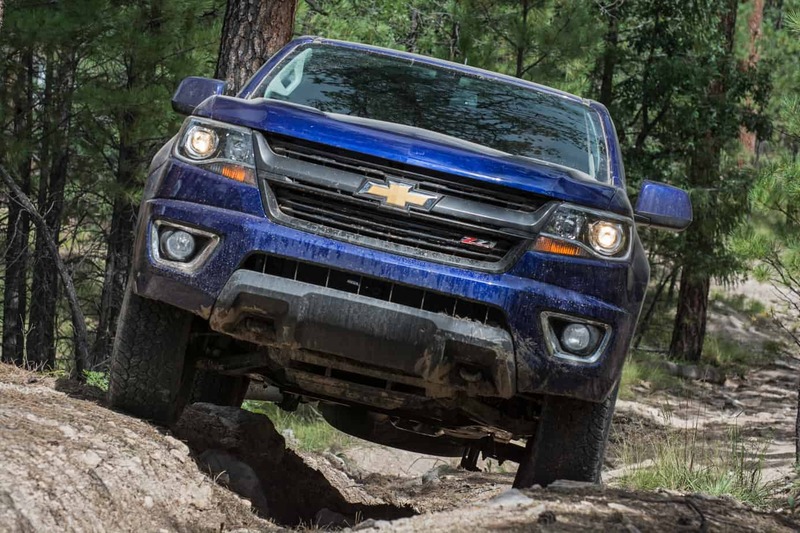 In mud the Duramax’s torque combined with Chevrolet’s traction control was unstoppable. With the 255/65 Goodyear Wrangler Adventure Kevlars aired down to 22 PSI, the little straight four kept forward momentum with only light to moderate throttle in most situations. 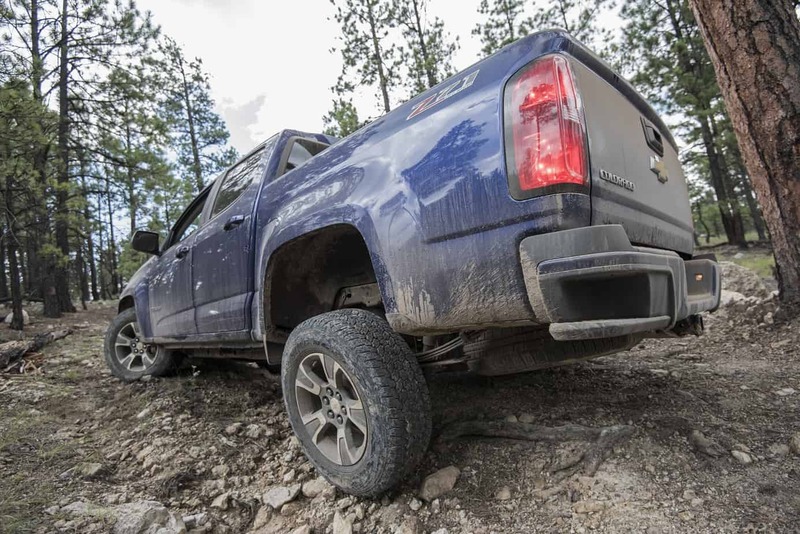 Even when I dropped down into a pit of slop deep enough to touch the frame, the Colorado continued to churn its way through with the help of its rear locker until it made it back onto dry ground. On slower rocky terrain the ride was good, but it could have been better. Up travel was somewhat limited due to suspension height, which when combined with the higher spring rates used on the diesel tow package made the ride a tad firm. A weeks worth of camping supplies and water in the bed certainly helped, but I feel the true solution would be a taller suspension with a longer compression stroke. 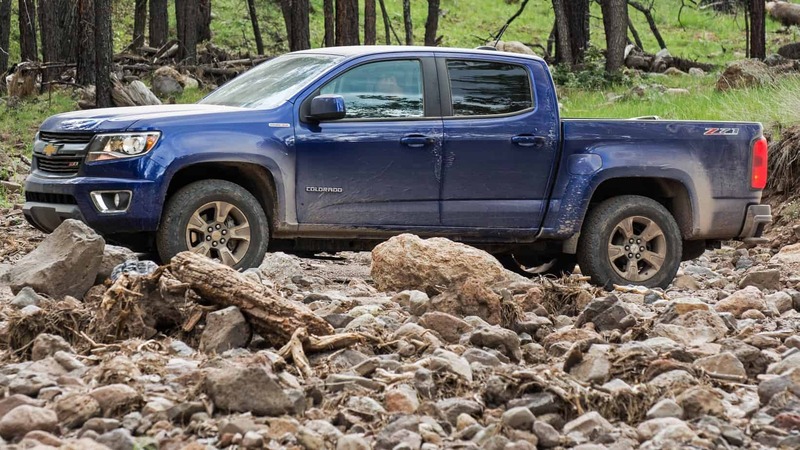 Although it won’t be running the Rubicon anytime soon, the Z71 Colorado is still quite capable on the rocks. 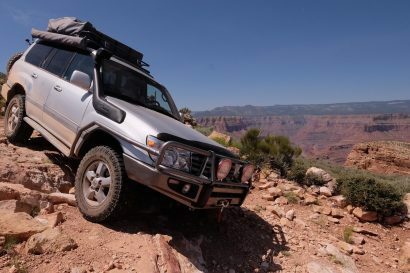 With careful driving it made quick work of even the toughest obstacles on the trip, and the departure angle of 22.1°, and break over of 19.8° never became an issue. Hitting the front end on the other hand would have been a real problem had we not removed the lower air dam. This plastic trim panel hangs mere inches from the ground, and brings the approach angle down to a rotten 17.3°. 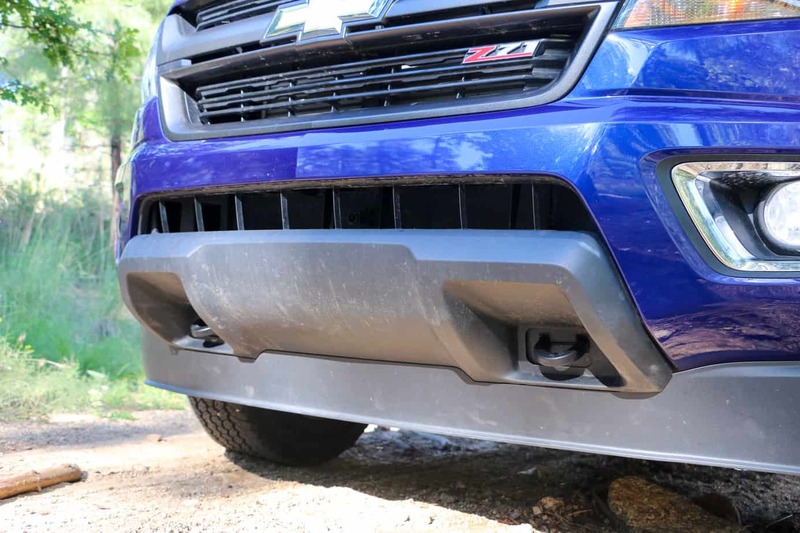 Fortunately we get the feeling that Chevrolet expects folks to remove it, as it only took us half an hour with simple hand tools to bring it back up to snuff. My only real complaint on the rocks was the lack of skid plates on the undercarriage. While we never had a strike, the open oil pan caused me to cringe every time a sharp rock passed beneath the truck. 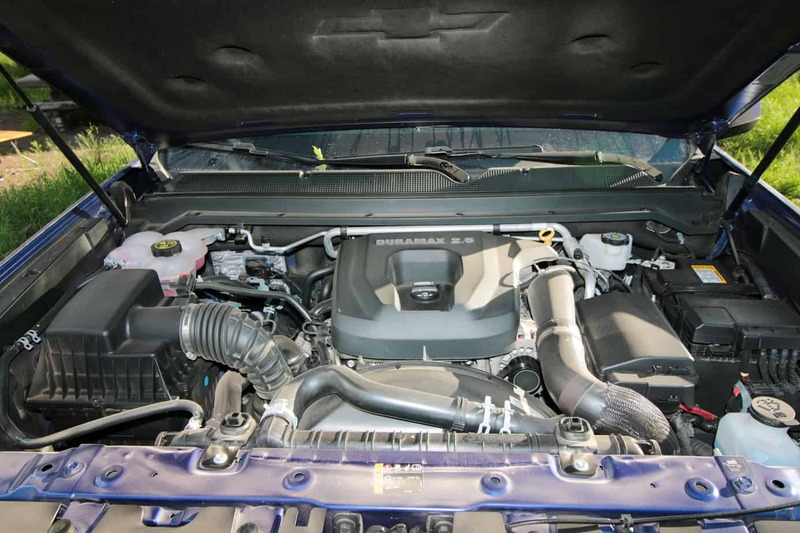 In low-range the Duramax’s idle set a good pace with the 3.42 gears, and I was able to access plenty of power without having to spool the turbo. This made scaling ledges and large rocks a much easier task, as I was able to control the vehicle without large increases and decreases in power. The traction control was very effective in technical terrain and was the trucks saving grace in many situations, but it did have a problem. 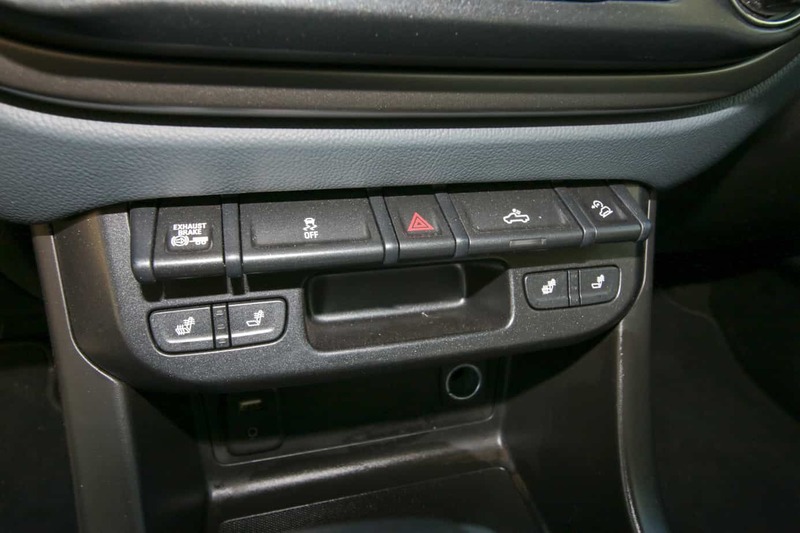 It seems that the system cuts out or at least dials back when left foot braking, and this leaves the driver without a key off-road technique. Fortunately this should be an easy fix with a computer update, and we hope Chevrolet will make the change soon. 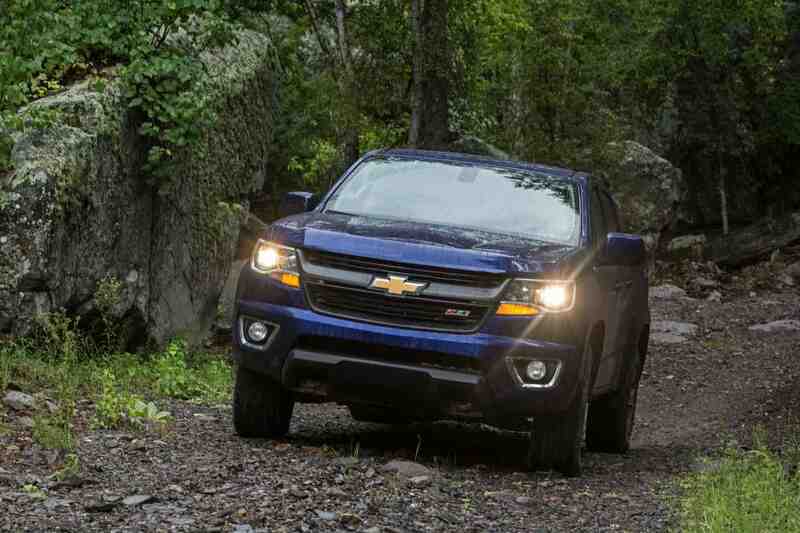 One of the Z71’s most convenient features off-road was the hill descent control. On long grades it kept the truck running at a perfect rate without forcing me to make any inputs or adjustments. Its only weakness was rapid changes in slope, at which point the computer had trouble keeping up. This only occurred on a single hill throughout the trip, as steep angles were constantly interrupted by small level sections. 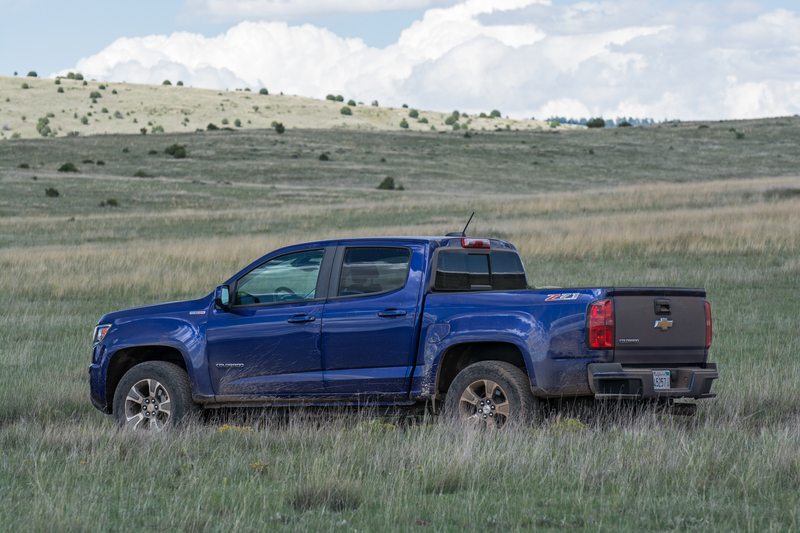 Fuel economy decreased on the dirt thanks to airing down the tires and the use of four-wheel drive, but throughout the trip the Colorado still returned averages of at least 16 mpg on low range days and low to mid twenties on graded dirt. 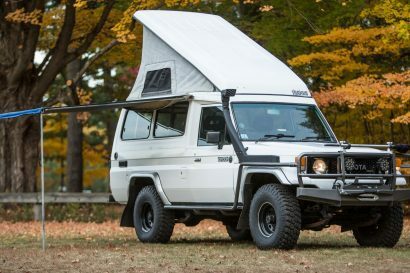 When combined with the vehicle’s stock 21 gallon fuel tank this sets the range for most overland trips between 420 and 500 miles. 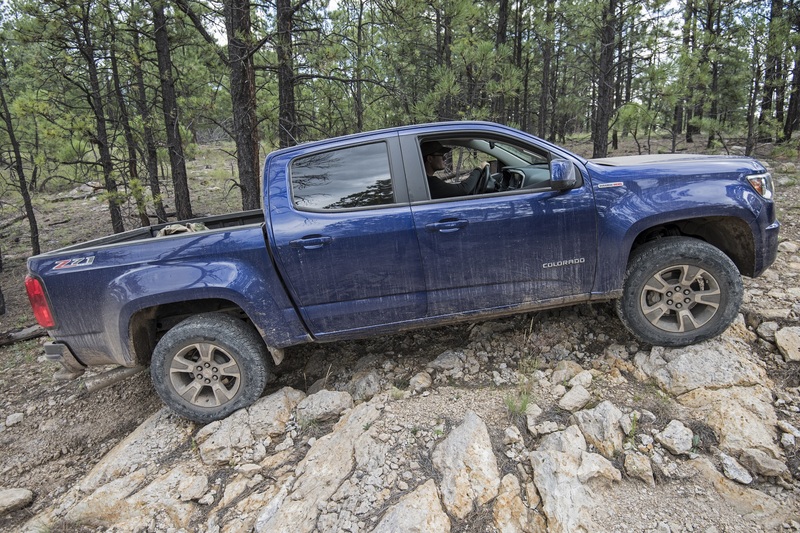 Articulation was surprisingly good for a truck of this kind, and I was repeatedly impressed at how often it was able to keep all four wheels on the ground. Even in cross-axle ditches and large washouts I rarely found myself without traction, and when I did the G80 automatic rear locker was there to save the day. For those who aren’t familiar with it, this style of auto-locker uses centrifugal force to sense wheel spin. 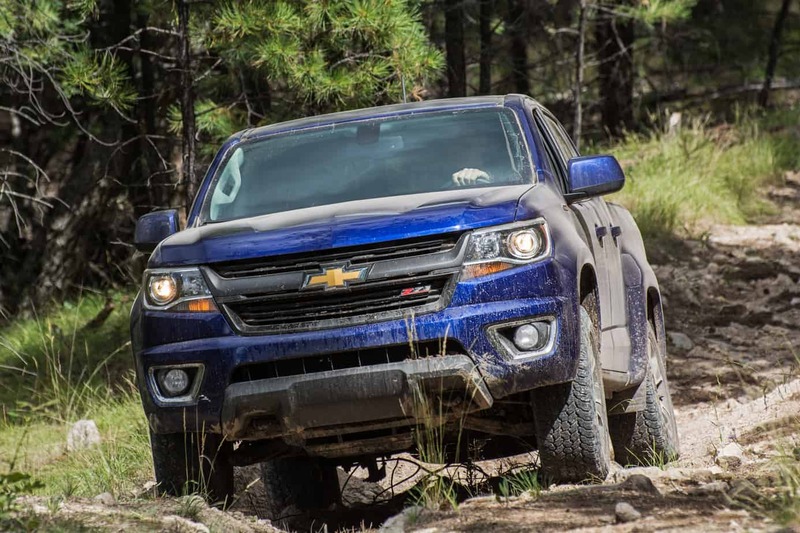 When the rotational speeds of the two rear tires reach a difference of 120 RPM the weights inside the differential spin far enough out to lock the axle, forcing the tires to rotate at the same speed. We found that it worked like a charm in sand and mud, however it did struggle more in technical terrain simply due to speed. 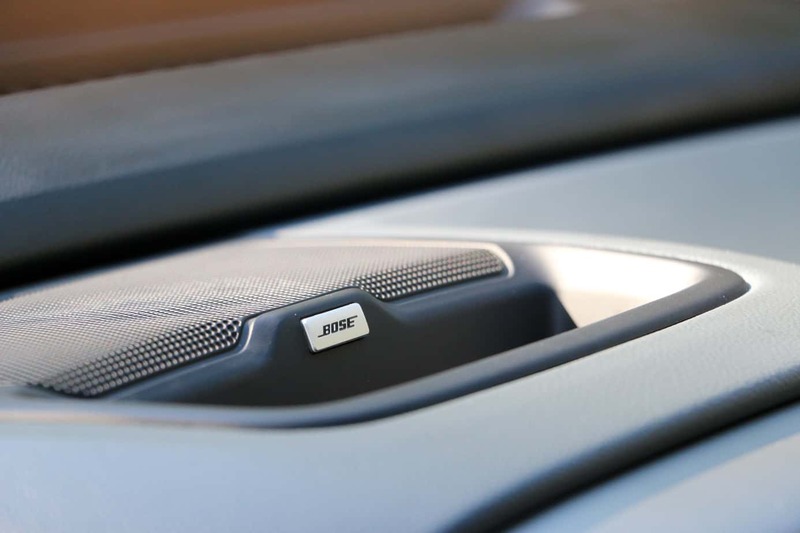 In 4-Lo situations it is best practice to use light throttle and control wheel spin to avoid damage, but this almost always prevents the wheels from achieving the 120 RPM difference required to engage the locker. This was easily solved by switching into 2-Hi or 4-Hi, but a locker you can engage manually would have made this truck immensely capable. 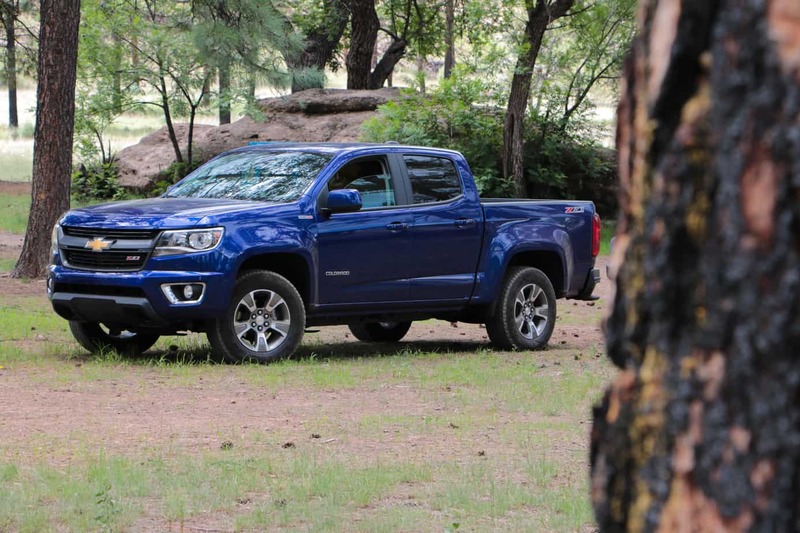 And now we finally reach the million dollar question, is the Colorado the mid-size diesel we’ve all been waiting for? While it’s not perfect, I’d say yes. 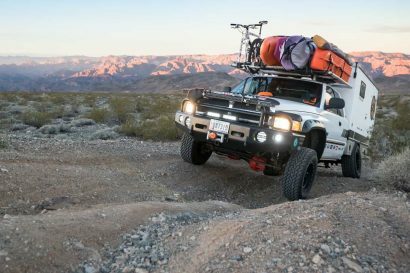 The true measure of any overland vehicle is its ability to take you on a journey into the unexpected, and then bring you back again. 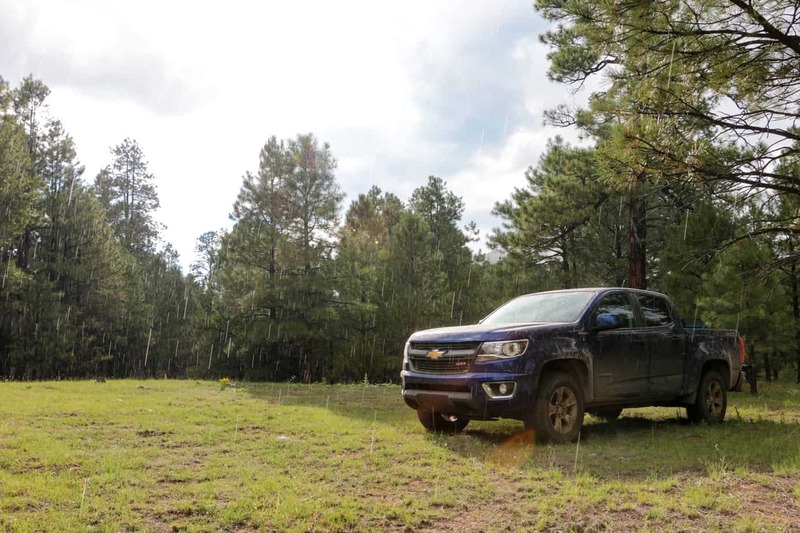 Through washed out roads, rock gardens, mud pits, and ruts that could bury a car to the frame, the Colorado soldiered on without sustaining so much as a scratch; and that speaks more to its abilities than any review I could ever write.